Department failing to implement house resolutions. During our engagement with the Department of Transport it was evidently clear that this is a struggling department. Hon. Speaker, if one should school grade this department; I would give it F, for fail. The members in this House can do their own analysis based on reports presented today, but allow me to highlight some points. It saddens me to inform this house that one of the department senior officials when engaged by one of the portfolio committee members was unwilling to respond and give clarity to a question that was posed to her. Her response was negative and she clearly didn’t want to account for her actions. She replied and remarked as follows: “I am not in a court of law!” thus insinuating that she doesn’t have to reply to the question. Madam Speaker, this attitude is a clear indication of how disconnected the department officials are from the political principals. The disconnected department has also failed to implement house resolutions and this is a direct violation of the Constitution and the Standing Rules of this august House. Hon Speaker one needs to ask; “What is the head of department doing in order to exercise command and control. One needs to question if there is proper management, oversight and monitoring as well as work ethics of staff in this department? The DA is of the view that there is no strong and focused leadership in this department as the reports indicates this. Various managers do what pleases them as we will hear in a moment. The long outstanding organogram of the department is still to date not ready for implementation. The fifth term started in May 2014 and they were busy finalising the organogram then, surely this cannot take this long. The foot-dragging in the implementation of the House resolution to implement with immediate effect the organogram speaks volumes to the department commitment to execute its core mandates. Strong political leadership is now needed in this department in order to have a safe festive season. Hon. Speaker, today this report is explicitly clear that Resolution 14 of 2009 should be totally reviewed. This was a clear recommendation of the task team that was established by the MEC of Transport but delayed by self-serving officials of the department. To bring in austerity measures in order for the department to get their finances in order. Senior and district managers have different interpretations and implementation in transport related matters, specifically to traffic, this resulted in operational chaos. Hon Speaker, the above lead to the firing of 4 traffic officers of the Kinkelbos weighbridge station. During our engagement with the 4 affected traffic officers they informed the committee that they refused to work overtime, due to the fact that they didn’t receive any overtime money since January 2014. It also became very clear to me and fellow committee members that the department did not follow the labour relations act and various internal policies and stand operating processes to dismiss staff was flawed. Reason given to justify firing of the traffic officers was also later found by the committee to be unsubstantiated. Shockingly one of the senior traffic officers wasn’t even allowed to take family or compassionate leave to spend time with his dying mother. This conduct speaks of an uncaring department where senior managers abuse their positions to settle internal scores. These unlawful human resources practices must be stopped immediately, as it will create more staff instability in the traffic section. I am proud to report that the findings and recommendations presented to this august house today was as a direct result of portfolio committee member’s no-nonsess approach with the department regarding this long outstanding matter. Honourable Speaker, I am pleased with the fact that the MEC agreed to implement the recommendation given to her by the portfolio committee members within 7 days from the committee sitting date. The DA would like to ascertain from the MEC a brief progress report regarding the implementation thus far. Hon. Speaker, we are the only province to date that did not implement IPTS that should have been operational more than 6 years ago. Our Metro’s are still not ready to implement, nor do they have a clear plan to get mass people moving through the bus transport system. In Cape Town our government’s bus system works! To date, the ANC has squandered plus minus 2.5 billion rand on this project without any real value creation. This is a serious indictment on the ANC as the governing party. Can the MEC please provide us with the latest new information regarding how she is going to fix the bus system in order for the public to use this service to benefit them. Honourable Speaker, the Democratic Alliance is of the view that a well-run city should have effective efficient modes of transport that will connect the poor to the economic hub of any city. In the Nelson Mandela Bay Municipality we have seen no political will to fix the broken bus system. Can the MEC please provide this house with the latest update regarding this matter. Where is the plan? How much will it cost to kick start this plan and what is the time frames? Hon. 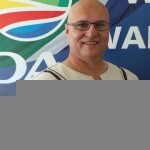 Speaker, change is coming to the NMBM very fast and the ANC will be replaced by the DA. The DA agrees with the report.